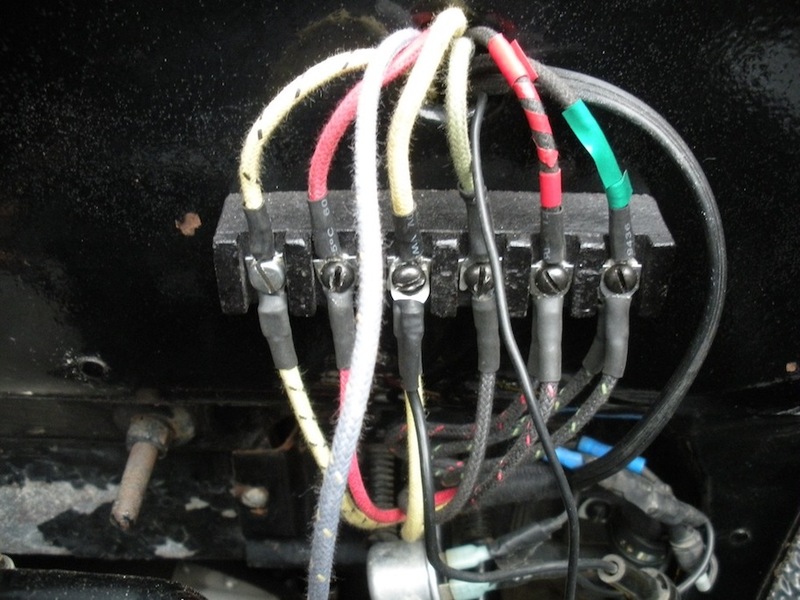 Model T Ford Forum: 1926 Headlight/ Ignition wiring Diagram..Please. 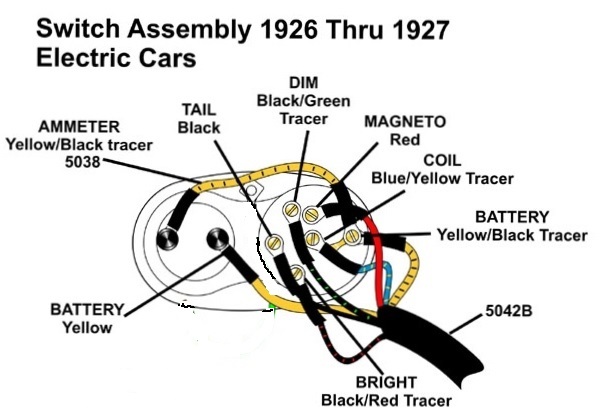 1926 Headlight/ Ignition wiring Diagram..Please. 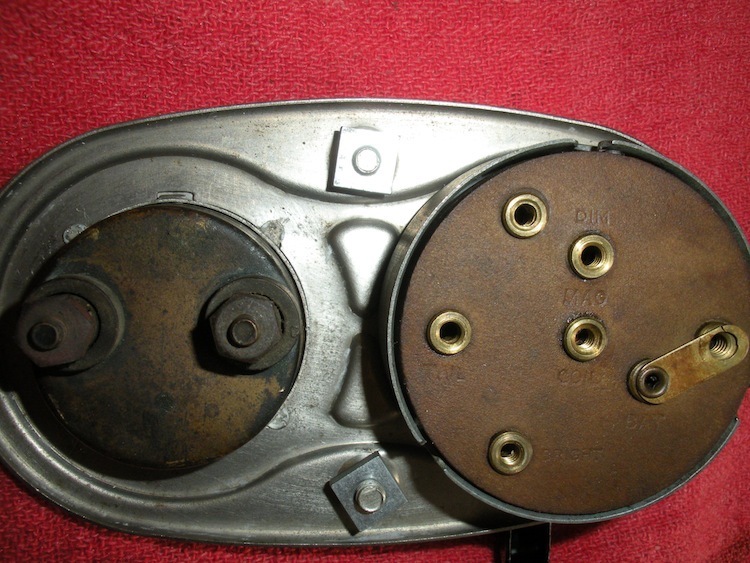 Model T Ford Forum: Forum 2018: 1926 Headlight/ Ignition wiring Diagram..Please. 1926 Tudor. Its for the Headlight Ignition switch. 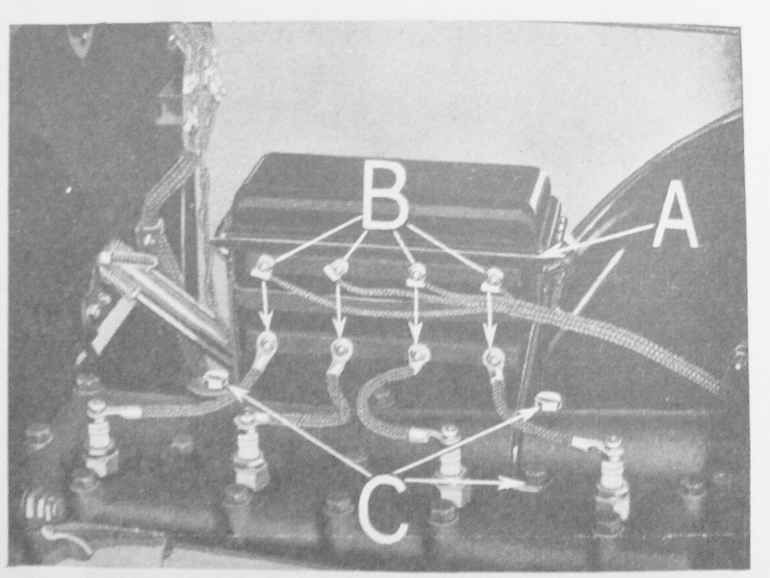 Sketch of the '26-'27 switch from the rear. Note Ford error in printing of the terminal i.d. numbers, they run left to right, #7 should be #1 of the 6 terminal wiring block. 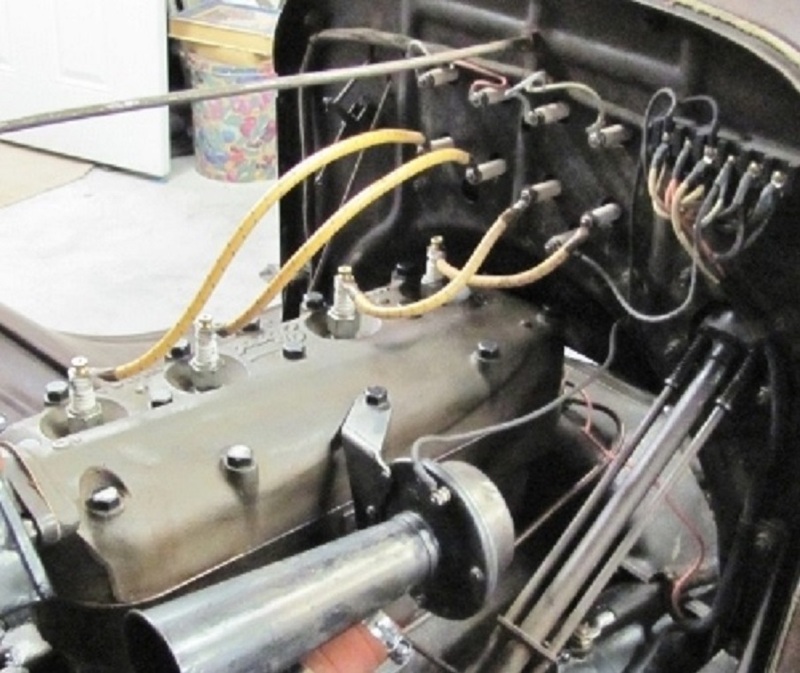 Posted that Ford wiring diagram as it is for the Improved '26-'27, the one the post is about. Ron's is a good general schematic, but doesn't show the plug wiring of the '26-'27 engine mount coil box, even though the drawing is labeled '22-'27. Better to show the difference, as someone could wire the Improved Car coil box wrong. The number one spark plug and piston are in front of the radiator. 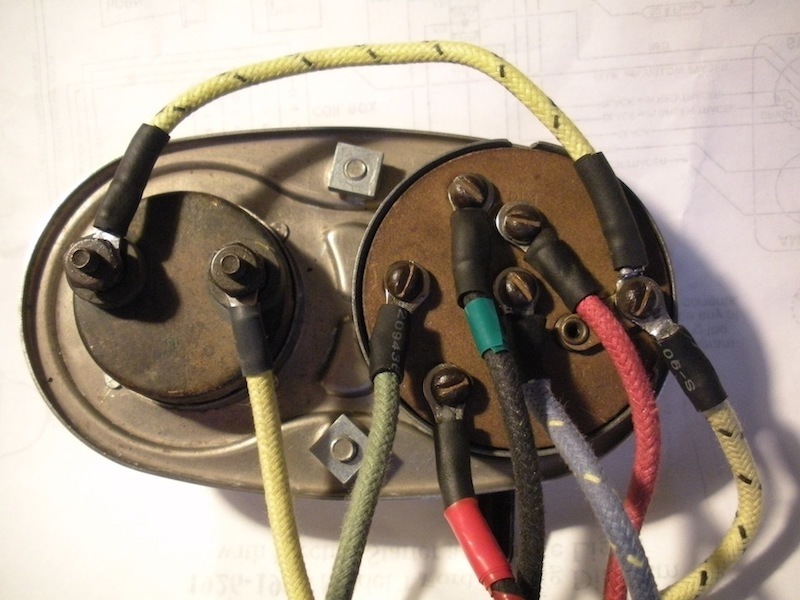 The schematic reads left to right in numbering the terminal block, and the coil terminals. from the Left...... 4, 3, 2, 1. 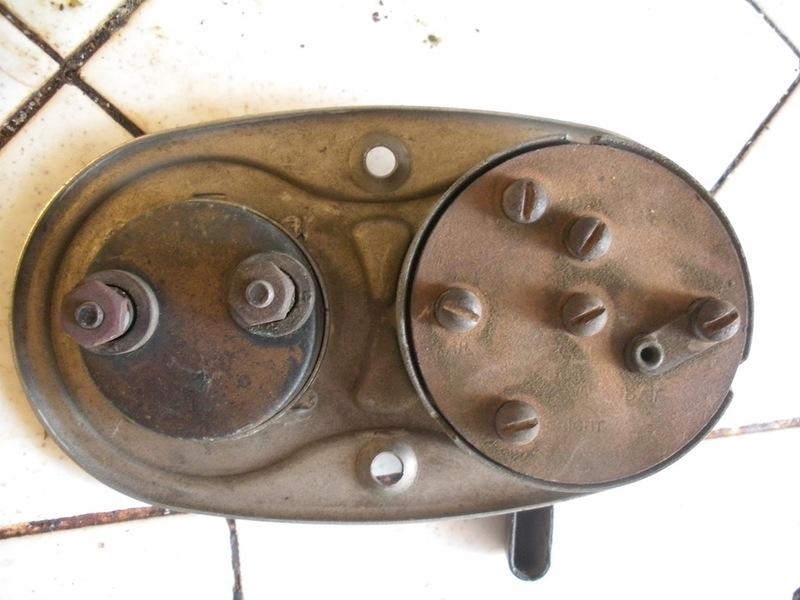 The earlier dash or firewall mount coil box, left to right spark plug coil box terminals (when facing the coil box) are from the Left.........1, 2, 3, 4. I based all my wiring on Ron's map. I also was in a quandary because another map from someone else had the wires at the terminal block transposed. You can do it either way as long as the correct colors match up. For ease of tracking down problems, Ron's is correct with Ford maps.